For the third year, a small quilting group I belong to has done a fun challenge and swap combination project. Around September or October we each bring a piece of fabric (fat quarter or larger) to a meeting and place it in a brown paper bag. One by one we each pull out a piece of fabric and try to guess who put that fabric into the bag. We are surprisingly accurate! 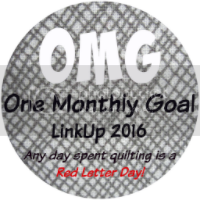 We then take the fabric that we pulled out and make a gift for the person who originally put the fabric in the swap. 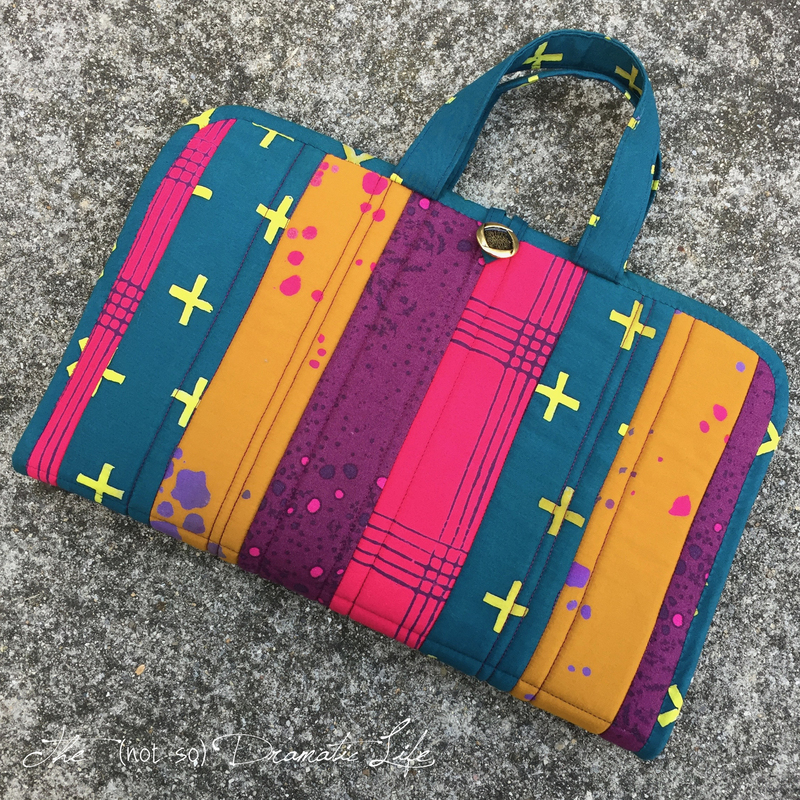 It can be anything sewn, and there is usually a wide range of projects that come out of this challenge and swap. This year the fabric I pulled out of the bag was a cute rectangular dot print on a light green background. Since the green is so light, it almost read as a neutral. It looked good with so many different colors! In the end, I loved the line and dot effect of the black and white batik with the dot print. 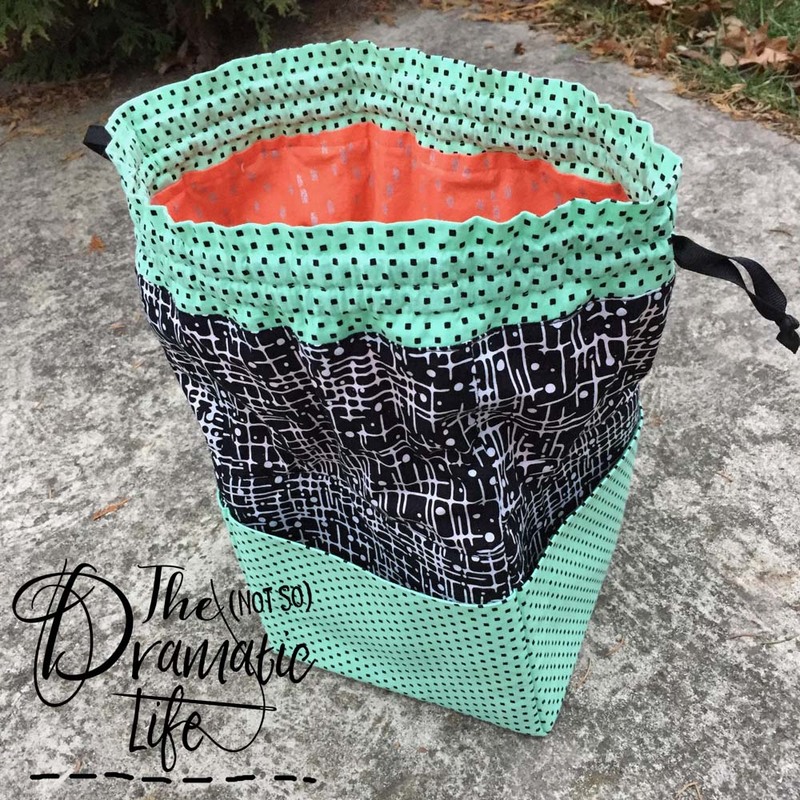 I decided to make a project bag with pockets around the outside to hold supplies and notions. 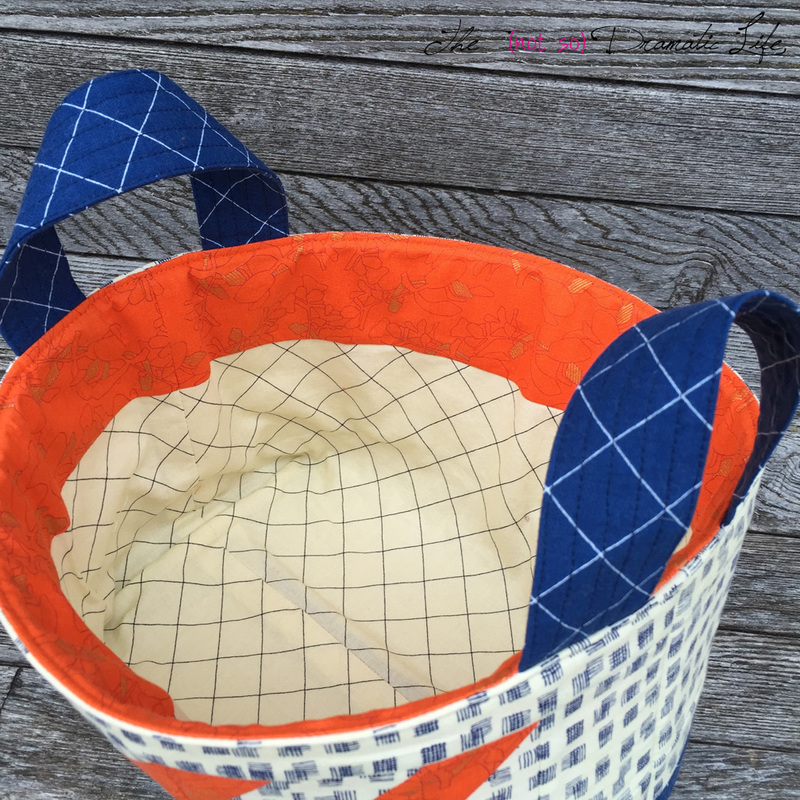 The lower half of the bag has a structure of Annie’s Soft and Stable so that it will stand easily on its own. The bag is fully lined so there won’t be a chance of having a work in progress catching on any seams or picking up unwanted threads. I thought the orange was a fun, unexpected pop of color, and it is also a favorite of the swap recipient! For the second year, one of the sewing groups I belong to did a swap. 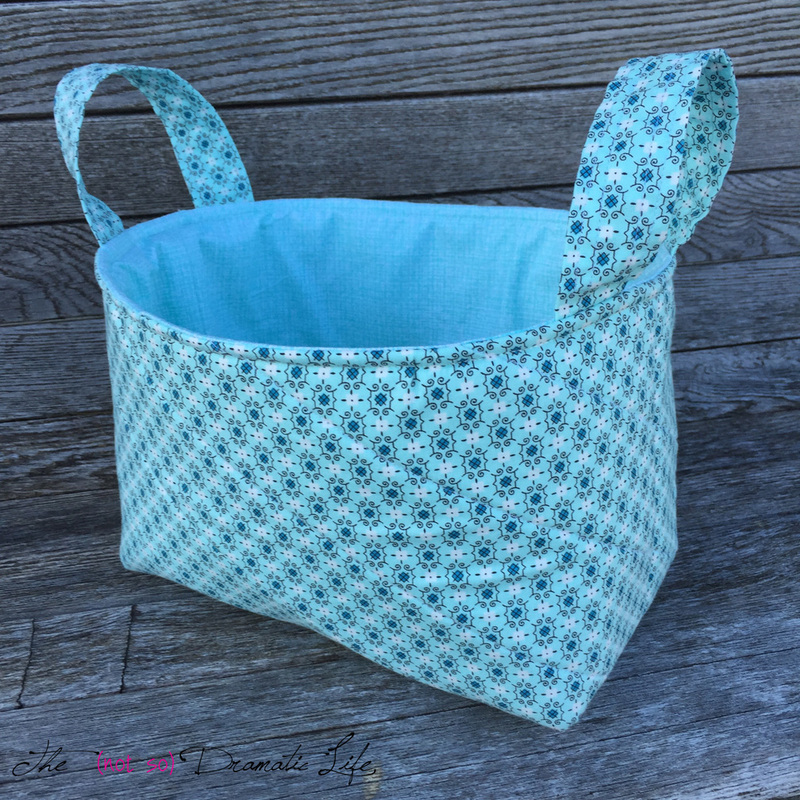 This swap has a twist: Each person brings a fat quarter of a favorite fabric from their stash to put in a bag. Then, we all take turns pulling out a piece of fabric and guess who it belongs to. We are a small group, so we are typically pretty successful in guessing the owner of the fabric. We each take the fabric away and come back a couple meetings later with an item made from the fabric we pulled from the bag to give back to the original person. 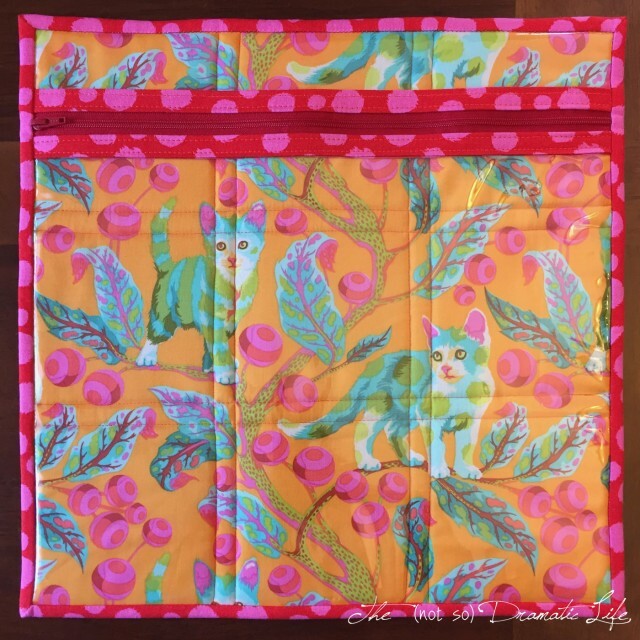 I pulled this cute Tula Pink cat print from the bag of fat quarters. 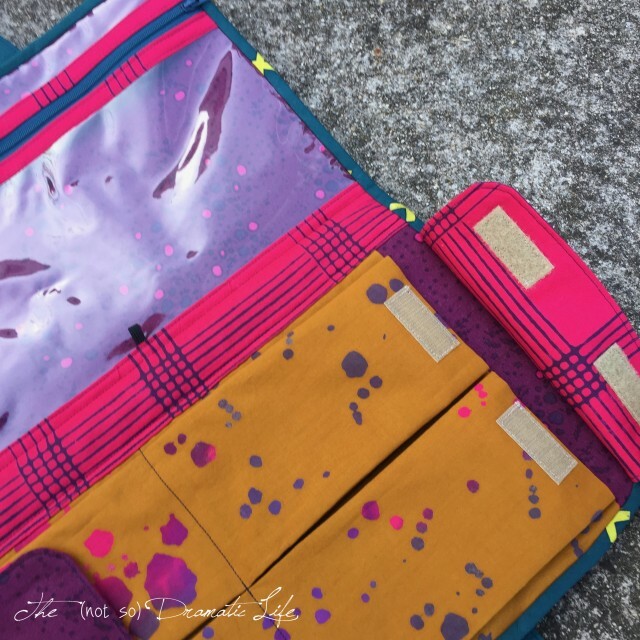 It happened to be a fabric that I love enough to own, too! 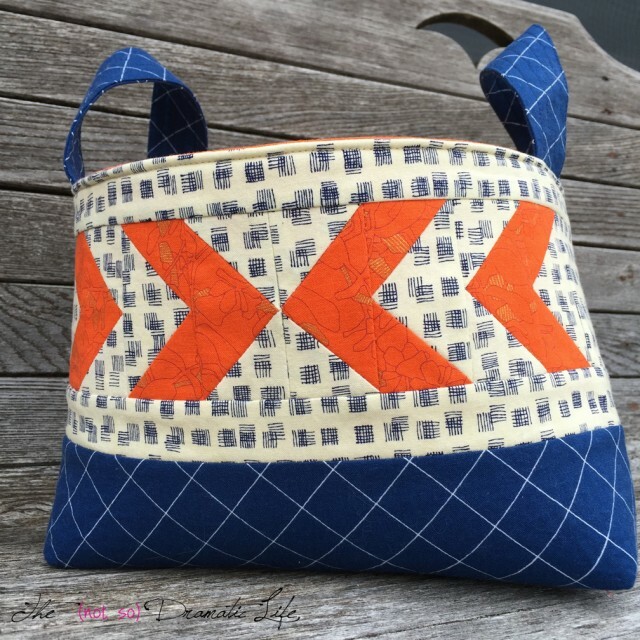 The person who brought the fabric enjoys hand applique and embroidery, so I thought she may like a bag that will keep all of her pieces flat and visible until it is their turn to be secured to the block. I used a fairly heavy, clear vinyl for the front of the pouch. The primary fabric is the cat print, and for the back of the pouch, I chose to make a nine patch from a charm pack from the same Tula Pink fabric line. 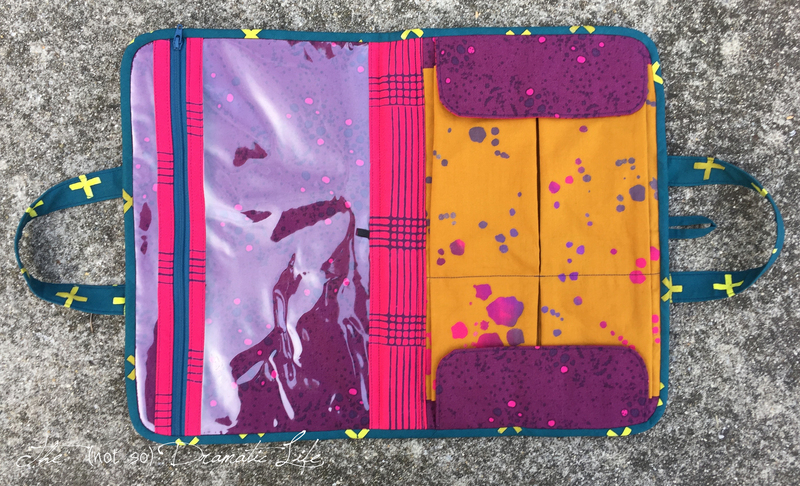 I sandwiched and quilted the fabric layers with a piece of soft and stable to make sure the pouch would lay flat while maintaining flexibility. The binding is also from that same line of prints. I machine stitched it to the front and folded it around to the back for hand stitching. This allowed for hand finishing on the fabric portion of the pouch. The bag finishes a bit over 13″ square, so a lot of quilt blocks could actually lay flat in the pouch. I wish I had made one for myself when I was in a couple of bees- it would have been perfect to transport blocks! As I was wrapping gifts on Saturday it occurred to me that a reusable bag would make more sense for several of the items I was about to wrap. I don’t usually purchase a large amount of any single fabric, but I did have some plain canvas on hand. Since the canvas has more body and substance to it than a standard quilting cotton, it didn’t even require a full lining. 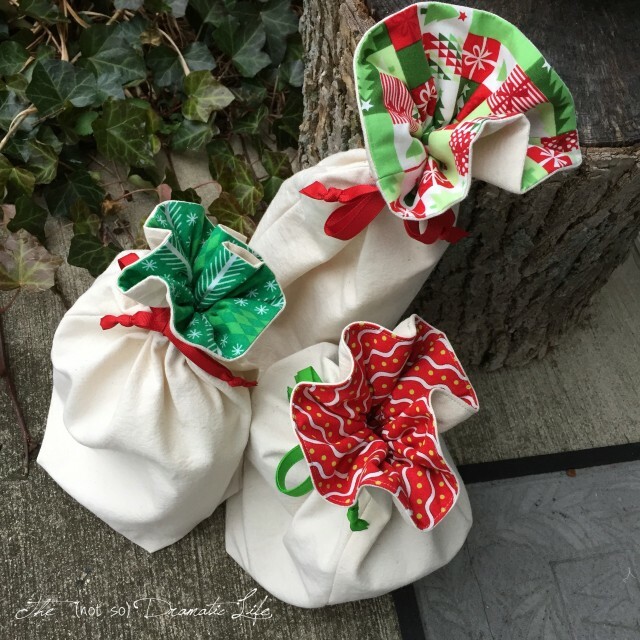 The Christmas-y fabrics I had on hand were also very limited, but I did have enough to use as a facing on the top of the bag to add a bit of color and create the drawstring casings. 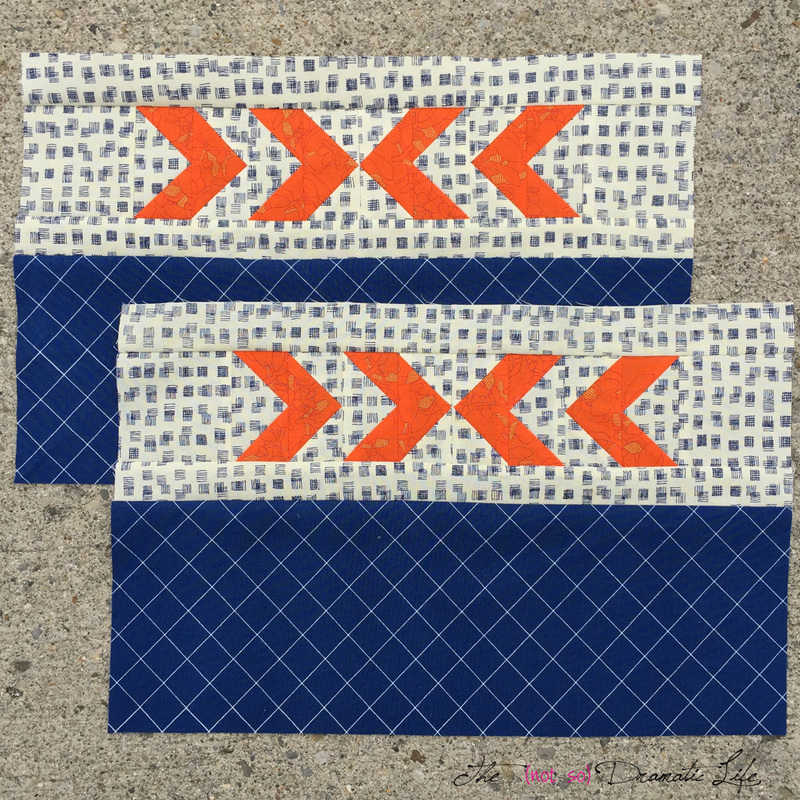 Awhile back I had ordered 3/8″ grosgrain ribbon in a variety of colors to have on hand for various projects, and it worked perfectly for this project. 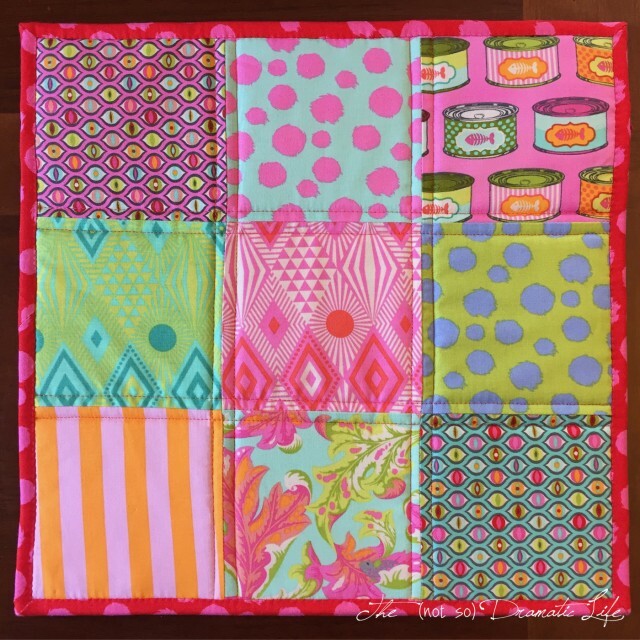 It was purchased from cheeptrims.com (not an affiliate) which has great prices, but does have a minimum order, so you may want to pool orders with a friend. 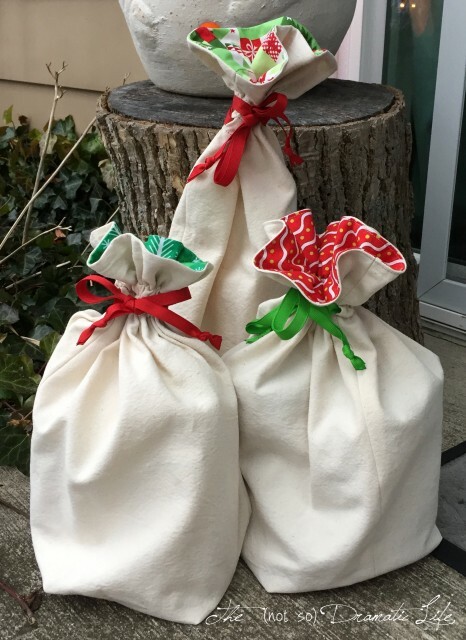 To calculate the size of each bag, I loosely wrapped a fabric measurement tape around the gift, leaving a few inches excess to allow for seam allowance and ease. Half of this measurement was the width of the bag. For the height I also wrapped the measuring tape around the gift vertically and divided the measurement in half. 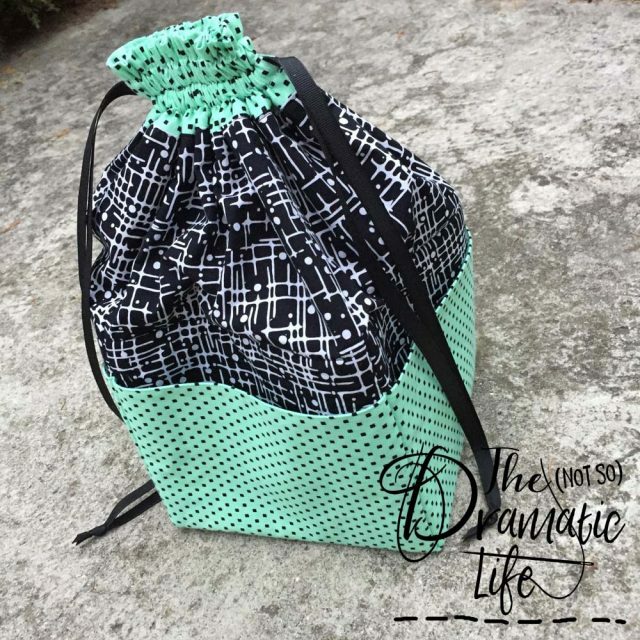 I made sure to add 7-8″ to each half to allow for the gathering at the top of the bag and for the ruffle at the top. The corners are also boxed out to give the bag a bit more dimension. These bags work great, and I’ll be making more to gift in future years!